Includes: 4 oil changes with up to 5 quarts synthetic-blend engine oil, filter and multi-point inspection. Plus, get a FREE Brown Bear Car Wash certificate each time you come in! See service advisor for details. Price plus tax & disposal fee. Certificates offered while supplies last. See service advisor for details. Upgrade to full synthetic for $15 more. Price plus tax & disposal fee. Coupon must be presented at time of service. Replace worn brakes with quality OEM parts for only $299.95 on most vehicles. 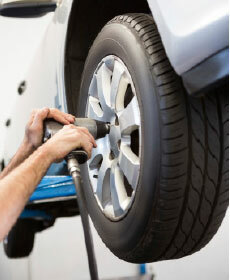 Includes complete inspection and replacement of worn brake pads and turning or refinishing of rotors. See your service advisor for more details. Competitor coupon must be presented at time of service. See your service advisor for more details. Service includes: Engine scan and removal of resolved service codes. See service advisor for details. Price plus tax. Service includes multi-point electrical inspection and voltage testing of alternator, battery and starter. Offer not valid when combined with other offers. See your Service Advisor for details. Inspection and complete coolant fluid exchange on your vehicle. Special coolants extra.